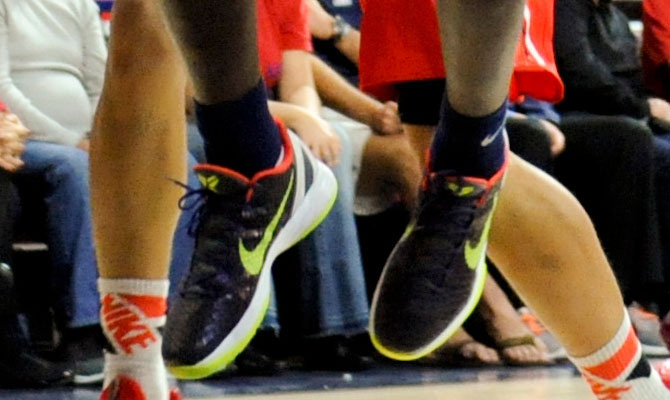 One of college basketball’s biggest sneakerheads turned heads Sunday night. 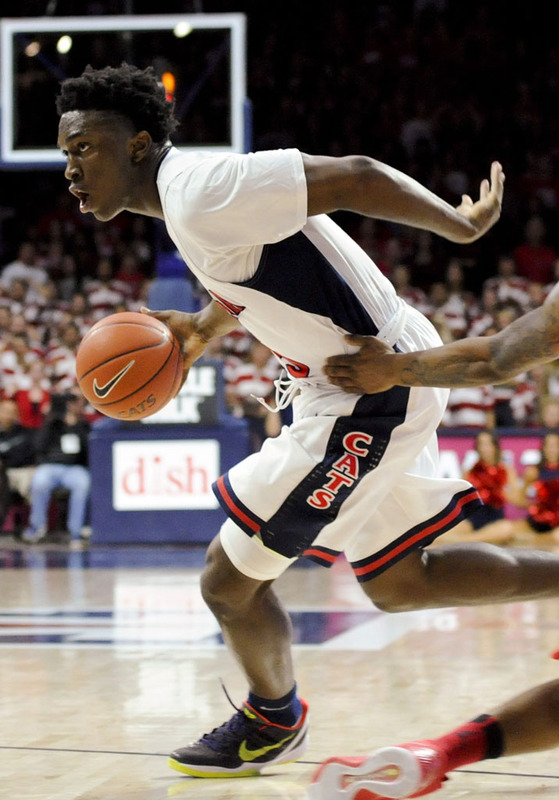 Expected to be a contender in next year’s NCAA Tournament, the Arizona Wildcats continued their start to the new season against Cal State Northridge Sunday night. The 2nd-ranked ‘Cats made easy work of the visiting team, cruising past the Matadors 86-68. 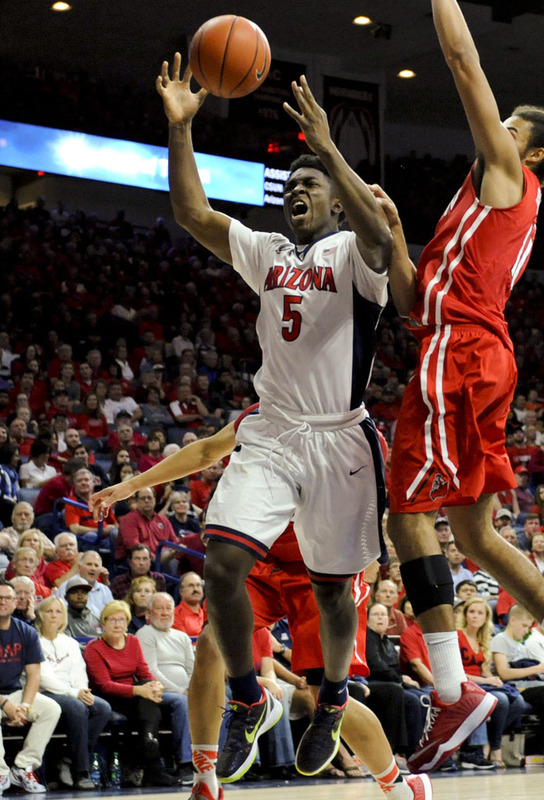 Forward Stanley Johnson led Arizona with 17 points. Speaking of Johnson, one of college basketball’s biggest sneakerheads turned heads by breaking out the ‘Chaos’ Nike Kobe 6 in last night’s game. No surprise a kid who announced his college decision with a pair of custom Jordans. Check out a few game shots below and stick with Sole Collector for more NCAA Sole Watch this season.